Home » Best Juicers » Twin Gear Juicer – Worth the Big Price Tag? Twin Gear Juicer – Worth the Big Price Tag? A twin gear Juicer can be one of the most efficient types of juicers on the market but they are also be some of the most expensive. Are they the best juicer for you? These juice extractors work by pressing the produce through two interlocking roller gears to press fruits and vegetables to break down the walls of the plant cells to release more juice than most masticating or centrifugal juicers can. 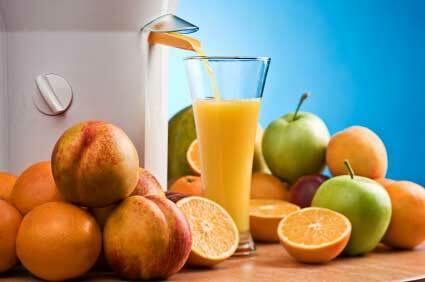 Twin gear juicers are also known to have a much higher juice yield and dryer pulp than all other juicer types. They can even extract as much juice out of wheatgrass as some juicer models that are specially designed just for that purpose. The gears turn at much lower RPMs than other juicer types. This can lead to healthier juice because less heat is involved in the process. By lowering the heat created by the process, it also decreases the oxidation and aeration of the juice so that beneficial enzymes and nutrients are preserved. You will pay anywhere from $500 to $1200+ for one of these juicers. Deciding whether or not it is worth the investment for these juicers really depends on what types of things that you plan to juice. Although most of them generally perform well in tests, there are some consumer complaints that indicate that they may not live up to all the manufacturer claims and all their uses. They also often have trouble juicing softer fruits that other juicer types can handle much easier. As with any juicer purchase, it is best to determine exactly what produce that you want to juice and buy the juicer that will best meet those needs for the most reasonable price. 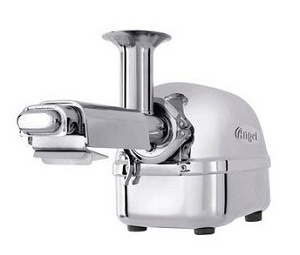 Click here to compare these juicers to other popular models.